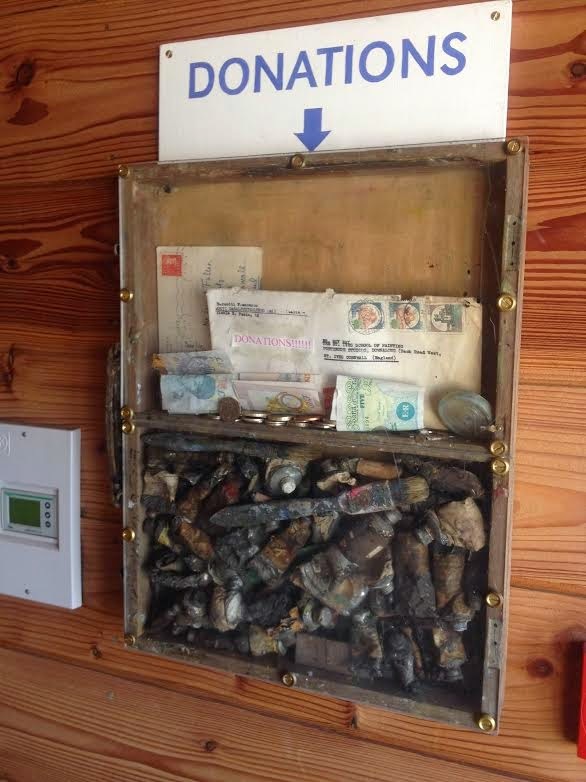 I was recently visiting the St Ives School of Painting and spotted their unusual donation box. The school of painting is a beautiful art school with an inspiring history rooted in St Ives. The donation box caught my eye. I liked the way its materials were rooted in the cause. You can’t tell terribly well from the photo, but the box itself is an old drawing case, and it’s filled with art paraphernalia.